Well, it’s official now … Fayetteville is back in the baseball business, back in the Carolina League and back in the victory column. The latter taken care of with the 15-0 pounding our Woodpeckers administered on Potomac in Woodbridge, Virginia, in the season opener. The BIG opener, of course, is the April 18 unveiling of Segra Stadium, with more than 5,000 folks on hand. That will mark the return of professional baseball to Fayetteville after a 19-year absence triggered by the departure of the Cape Fear Crocs following the 2000 season. As for the Carolina League, the last time a local team was part of that was in 1956 when the Highlanders finished fourth in the regular-season standings before knocking off High Point and Danville in the playoffs to win the league championship. The current ball club, at least the players left over from last year, already know a thing or two about capturing titles. They helped the Buies Creek Astros win the Carolina League trophy last year. Before continuing with actual baseball stuff, I just want to say how grand I think it is that The Game is returning to our city and that the magnificent new ball yard is downtown. Yep, Downtown Fayetteville Baseball!!! Definitely deserving of three exclamation marks. The Woodpeckers held a media night recently, and one of the more interesting tidbits to come out of that – to a baseball guy like me, anyway – was their manager’s reference to a certain method to the madness of major league organizations these days. Some of you may recall some years back when there were conversations and publicity about The Cardinal Way. The reference was/is to the St. Louis Cardinals having their own way of doing things. A set of goals, concepts and fundamentals they feel pave the path to winning. There has been more than a little fun poked at the Cardinals, mostly because sceptics shot down the Team (capital letter used because we’re talking total organization here and not just the nine guys on the field) as egotistical and presumptuous. Those who know baseball realize, though, that it all made/makes sense. While there is more than one way of doing things, whether it’s laying down a bunt or working the wheel play, it is good to have everyone up and down the system – from rookie league to the major leagues – doing them the same way. Saves time and prevents mix-ups. So, in talking with Woodpeckers manager Nate Shaver, I asked him if there is an Astros Way. He acknowledged that, yes, there is. You should know that Shaver is a doctor, and not of baseball. He earned his Ph. D. in education at New Mexico State University, where he was an all-Western Athletic Conference outfielder. His two-year career batting average was .355 to go with 14 home runs. Communication skills were a point of emphasis of Shaver’s education, and he knows how important they are in today’s sports world. Having good rapport with players is vital, and it is one of the main factors in so many young managers being chosen to head up big league teams. Access to a guide book can only help. “Yes, there are things we do that are the Astros’ way,” Shaver said. “The organization has a way of doing things it believes makes for better players and winning baseball. “There is a handbook of sorts passed down throughout the Astros’ organization, for every level. But we don’t share it.” He smiled subtly, an implication that while the Astros Way might not be Top Secret information, it’s certainly Classified as far as the Houston baseball Club is concerned. 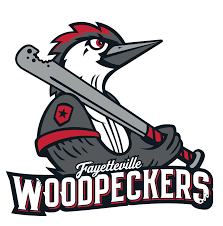 Shaver discussed the Woodpeckers and their new ballpark, and he’s excited about both. The Woodpeckers’ arms and bats were dynamite out of the chute. Four pitchers combined on a one-hit shutout and struck out 10. Parker Mushinski got the win after throwing four innings of relief with four K’s. Mushinski, by the way, is the only left-hander on the club’s 14-man staff. Fayetteville rapped out 16 hits, four by first baseman Jake Adams, who blasted a grand slam and drove in seven runs. Right fielder Bryan De La Cruz added three hits, while center fielder Jacob Myers and DH Seth Beer each had two RBIs. Beer is happy to be in the South. The Illinois native, who is one of the top prospects in the Astros’ farm system, played college baseball at Clemson and came to enjoy southern life.